Guess what I finished last night? 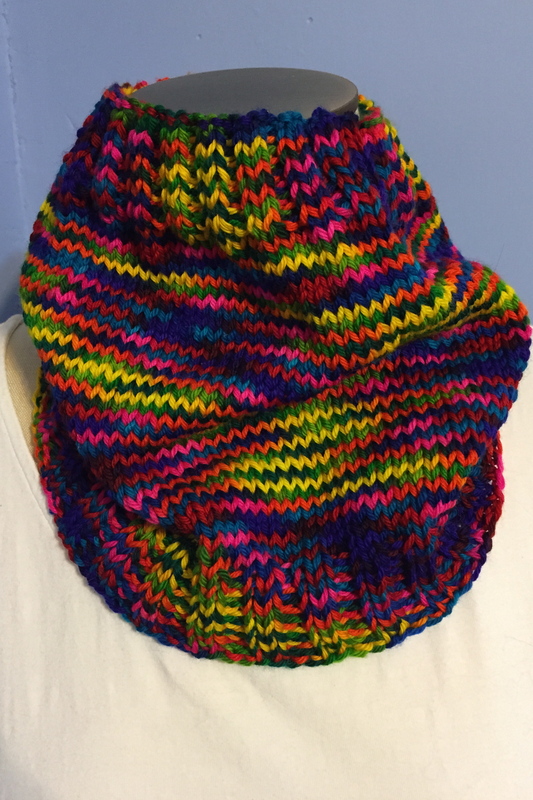 My rainbow cowl! I’m so happy because that means I can either wear it or list it on Etsy. But I’m so sad because that means I can’t knit on it anymore and I so enjoyed knitting with that yarn. I totally need to save up to buy some more Vice yarn. 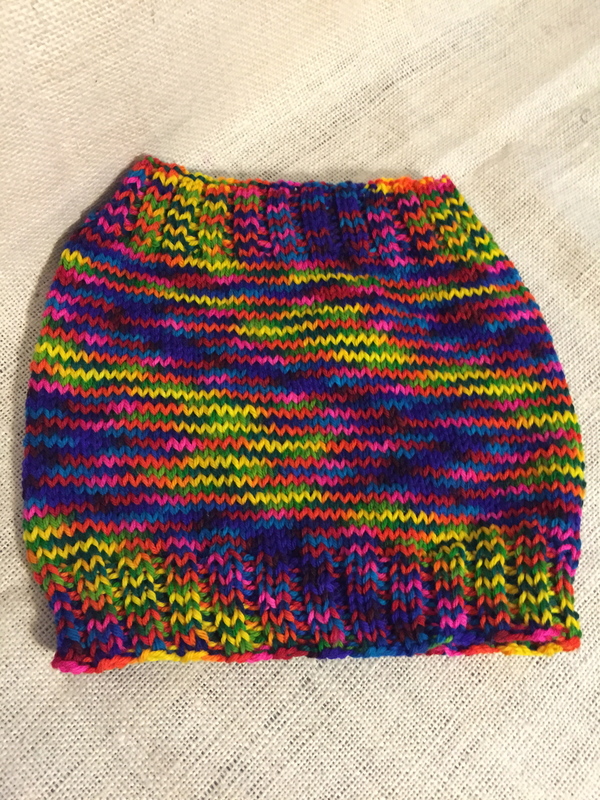 Great stitch definition, soft without being too floppy, and those colors! This is unblocked, so I still need to wash it and pin it out but I think it’s a great size. This was a wonderful travel project too, so I expect I’ll be making more with my fancy single skeins. I even have about 60 yards left, and I’m wondering if I can squeeze out a wee pair of fingerless gloves, something just like a handwarmer. If I succeed, I’ll share it! Ooh you finished it! Its just gorgeous! How beautiful! You did a really great job.